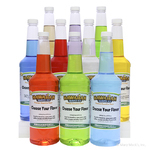 If you can�t decide between sour or sweet, then you shouldn�t have to! Hawaiian Shaved Ice has something that will make your taste buds go wild. 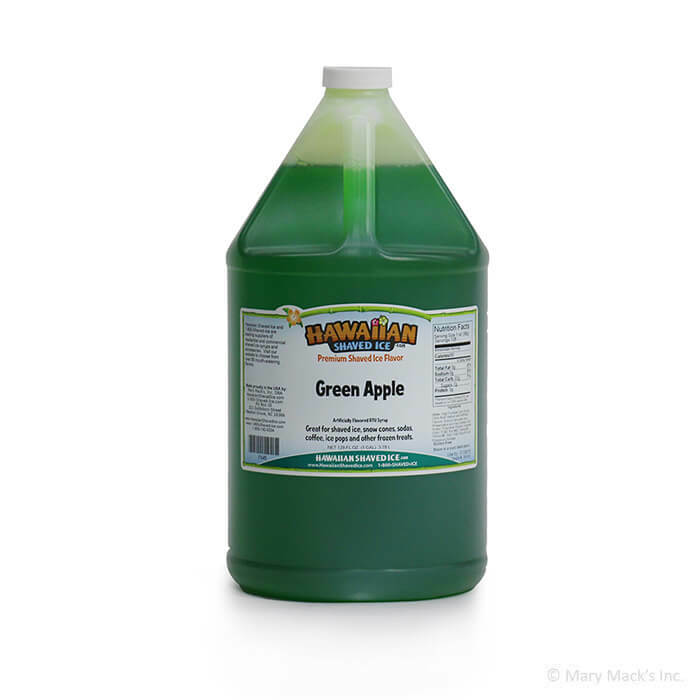 Our Green Apple flavored shaved ice syrup is a guaranteed hit that everyone can enjoy. 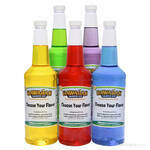 With the perfect combination of sour and sweet, Green Apple snow cone syrup is one of our more popular flavors. This tangy yet sweet treat is the perfect refreshment for a kid�s summer pool party, or a dessert after dinner. Cover your sno cone with this blend of sour and sweet next time you want to experience the deliciousness of a green apple and the freshness of a shaved ice. 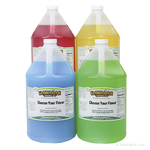 Purchase this green apple flavor in a quart bottle, or in an assortment package with all of your other favorite syrup flavors. The possibilities are endless!